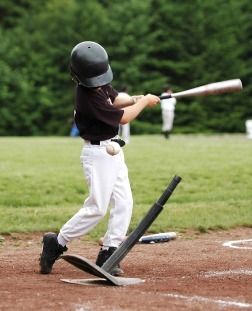 A great outdoor activity is baseball for kids. When I was growing up in the sixties, we played baseball every simmer day on a vacant lot. We had kids of all ages and everybody would show up early in the morning. At noon the town whistle blew, and we would take a break for lunch. The whistle blew again at 1 and we resumed play. We then played until our moms or dads pulled us off the field. Life is different now and so is youth baseball. I’m sure there are still neighborhood groups that get together and play ball in the backyard. But organized sports have become the mainstay for most kids. It is the only exposure that many kids have with team sports. 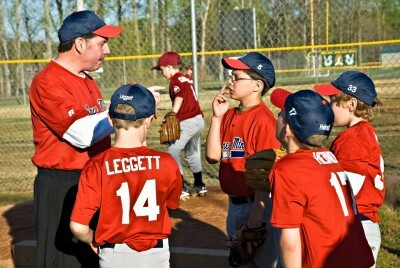 What’s great about organized baseball is most dads played the game, so they are all candidates to coach. And many moms played baseball or softball and they too are now filling the role of team coach. You have to believe that Abner Doubleday, or whoever invented this game, wanted to have baseball for kids. And it is such a popular game, that the really good youth players are lucky enough to play as adults. Every little league baseball player dreams of the day he will to play in front of thousands of fans. But for these younger years, the crowd is pretty much limited to parents and grandparents. Baseball for kids is a close resemble to professional baseball, with some changes made to adapt for smaller bodies. Pitching mounds, the bases and the outfield fence are all closer together. As a kid I played hundred of games every summer in that old vacant lot, but only about 12 to 15 of organized baseball. Nowadays there are youth teams that travel all over the country and may play 70 or 80 games. And our baseball league did not have any tournaments. In fact, I never played in a baseball tournament. Today, teams have the opportunity to play in tournaments just about every weekend of the spring, summer and fall. Another big change is the age at which kids now start to play. I started at a pretty young age back in my day, at the age of 7. There are kids now who might be playing in their fourth season by the age of 7. T ball, coach’s pitch and machine pitch were not around back in the sixties. But I do believe they are a great benefit to the youngest players. There are many skills needed to play the game of baseball These leagues that offer a way to play without kids pitching are a great learning tool for many of these skills. No way 4 and 5 year olds could play kids pitch games. But put them on a t ball field and you see kids hitting, running and throwing the ball. And this gives them a chance to get comfortable playing baseball before there is a kid throwing the ball to them. Yes, baseball for kids has really changed. I sure enjoyed those old days back on the vacant lot. We argued and fought a lot, but everybody got to play and have fun. I’m not sure there is as much fun involved with organized baseball, but it is what we have and we just have to do the best with it. So if you are here looking for some help in coaching a baseball team, then you have landed on the right site. We have all kids of team drills and instructions. Take a look at the bottom of this article and hopefully you will find some helpful information for your team. Or if you are looking for ideas or help with individual skills, we have many of those also. We have whole sections on hitting, pitching and working out. And if all else fails and you don’t find what you are looking for, let us know thru the contact form and we will get right on it. So take your time and have a good look around. Smart-kid-educational-games.com provides ideas and advice on activities and educational games that contribute to the positive development of children.